Samsung is the leading mobile phone manufacturing company across the globe and the only competitor of this company is Apple. This company has launched the latest flagship, Galaxy S8, which was the highest selling mobile phone in the world for second quarter. Samsung has shipped 10.2 million S8 mobile phones in the 2nd quarter and the bigger sibling is Galaxy S8+, which was introduced in the market with 9 million shipments and it has 4th position in the market. Xiaomi is making progress during the quarter and the low end Redmi 4A is also becoming the third best selling Android phone in the market. Other than Xiaomi, 4 of the current top phones fall in ultra high end bracket of market and throw the price sensitivity out of window. Apple has pretty clear lead with iPhone 7 and 7 Plus flagships. The standard version was popular with 16.9 million units, which are shipped in quarter and plus model was far behind at 5.1 million units. Both had the market shares of 4.7 and 4 percent respectively. The top ten best selling phones made up for every 1 out of 4 phones, which were shipped during quarter. The overall shipments of 360.4 million units were done during the quarter and it was up from 341.5 million units last year. 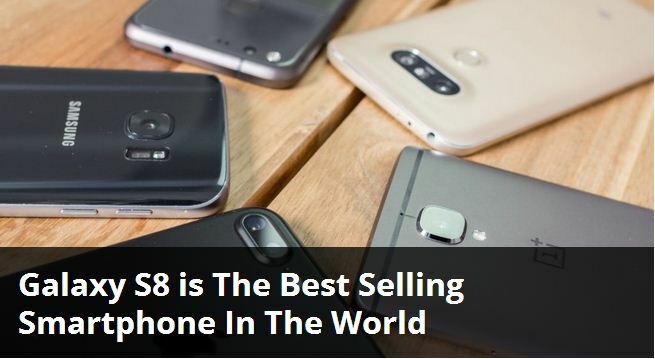 Samsung is leading in the global smart phone industry and this company has shipped 79.5 million handsets during the last quarter, which you can compare to 41 million of Apple. Apple is facing the threat as Huawei can overtake it, which has shipped 38.4 million mobile phones and the fast surging Oppo and Xiaomi. Apple is getting the personal best figures so it would not be a problem for them.